Red Wine Wino had a hankering for white wine in the big bottle. 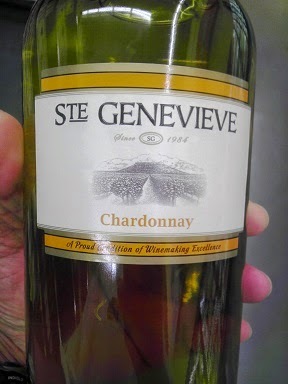 So, grabbed a Ste Genevieve Chardonnay on a whim. Not much on white wines. This one reminded the Red Wine Wino why he does not like white wines. White Wine Wino was okay with it. Hmmm... in keeping with the Rating System, since we cannot agree to purchase it again, it get a Neutral Rating. 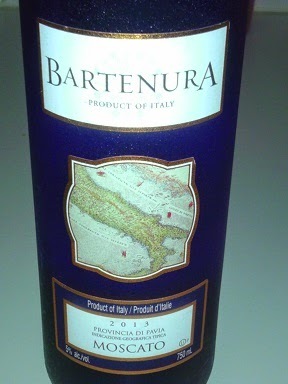 Here is a Moscato that comes from Italy. Had other Mocatos from Italy. Noticed the few we have tried seemed to be sweeter and lower in alcohol content compared to the domestic Moscatos. This one tastes sweet and has a 5% Alcohol Content. Not bad; White Wine Wino would buy it again. Red Wine Wino decided not to... but that decision was based on the low alcohol content. Dang Red Wine Wino! This one gets a Neutral Rating. 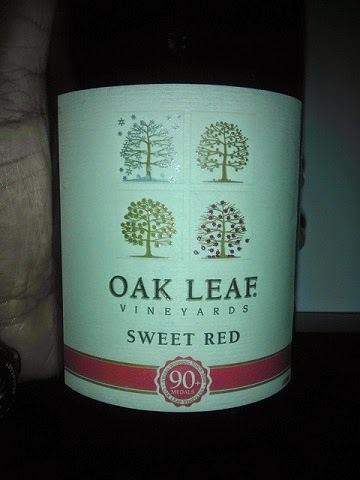 Another $2.97 offering from Oak Leaf. This one is their Sweet Red. This one gets a Good Rating from the Winos. Tasty and price is right. Do be sure to chill it in the fridge. 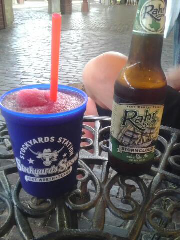 Stockyard Station in Fort Worth's Stockyard is serving Blueberry Pomegranate Wine-A-Ritas! Tasty, tasty, tasty! 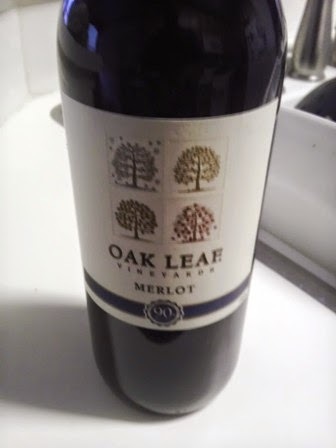 Oak Leaf Merlot for $2.97... 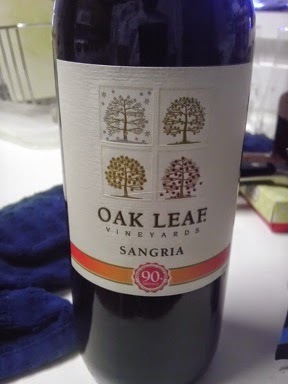 The Winos tried it and could not agree about buying it again. White Wino was okay with it. Red Wine Wino could not agree... This one gets a Neutral Rating. This time we still cannot agree... Neutral Rating stays "as is". Tried Absente for the first time. 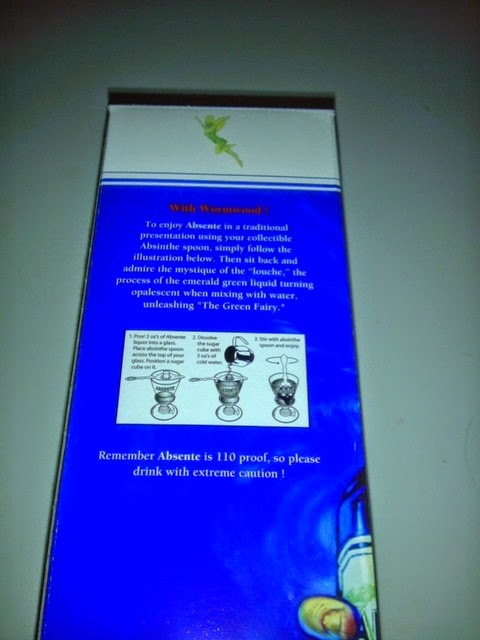 This one is 110 proof... whew! 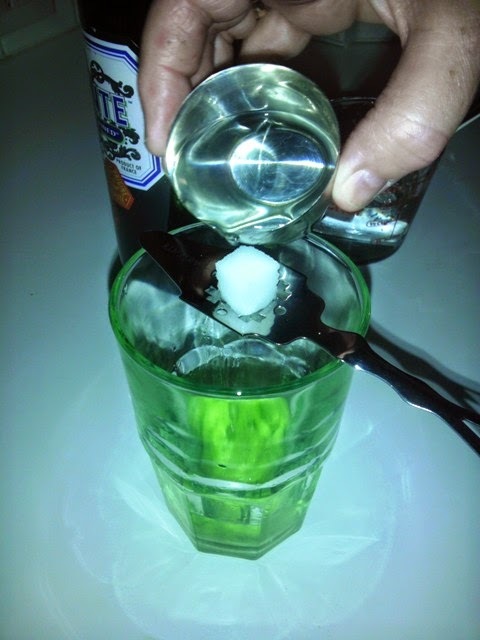 Followed instructions and poured cold water over a sugar cube. 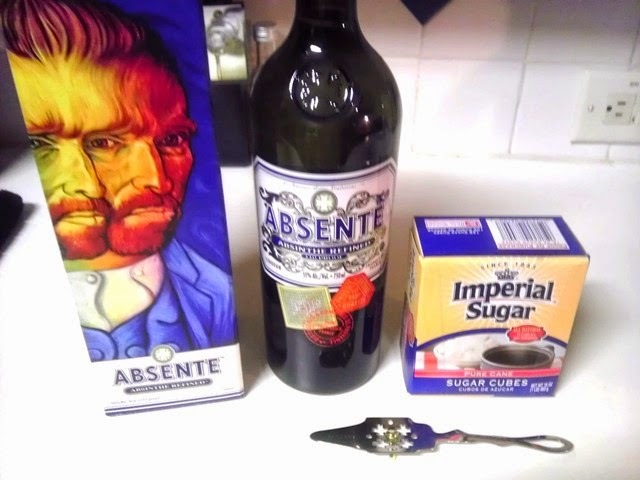 Licorice taste with a kick! Red Wine Wino was good with it; White Wine Wino could not handle it. This one gets a Neutral Rating since the two Winos could not agree to buy it again... but, Red Wine Wino will sneak one in again once this bottle is done!